What Names Do you want written in the sand? You’ve found your special someone and it’s time to let them know just how much they mean to you. Your sweetheart will feel as treasured as they are when you present them with this photo that has both your names elegantly written in the sand with a heart connecting them. The ever-changing nature of the ocean and beach makes each photo a unique work of art that will show just how important you are to each other. Plus you have several different color and frame options for each photo to make this gift even more special. Give a gift that will draw you into the beauty of nature as it draws you closer to each other. One of a Kind personalized gift of your names written together in the sand. Each piece is signed by Courtney Noelle herself. Truly a unique personalized gift. Perfect for weddings, showers, or housewarming. 3.) 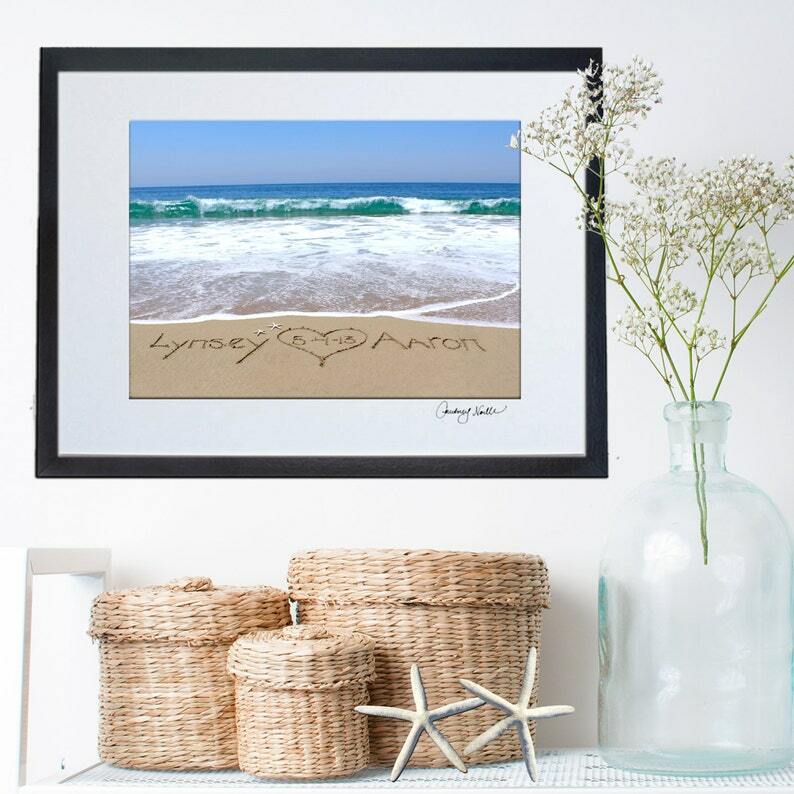 Your message will be written in the sand, then send you proof via email within 1 week from when you place your order.